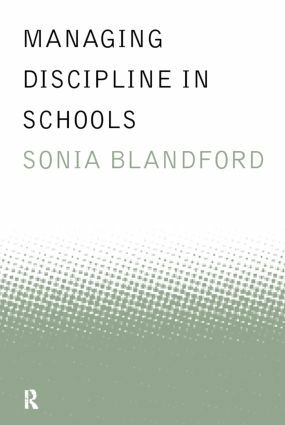 The management of discipline is an essential element in educational practice, and at a time when teachers and managers are anxious about reported increases in violence and other forms of anti-social behaviour there's a need for practical guidance and a review of current thinking. Based on the author's experience and research in a range of secondary and primary schools, this book presents accessible summaries of relevant legislation and guides the reader through management theories towards effective practice. By placing the teacher at the centre of the management of discipline in schools and focusing on teacher and pupil esteem, a disciplined environment is not only desirable, but achievable too. * provides a multi-agency approach. This book is aimed at trainee and practising teachers, managers, and all those who work with children.